Commerce Secretary Wilbur Ross said he didn't understand why furloughed federal workers, or those working without pay, might struggle or need to visit food banks. Democrats called him out of touch. Commerce Secretary Wilbur Ross downplayed the hardships caused by a partial government shutdown on Thursday as some 800,000 federal workers prepared to miss a second consecutive payday. Ross told CNBC he is puzzled by reports of federal workers turning to food banks and other forms of relief, suggesting they should be able to obtain bridge loans to tide them over until the government reopens. "True, the people might have to pay a little bit of interest," said Ross. "But the idea that it's 'paycheck or zero' is not a really valid idea." Democratic House Speaker Nancy Pelosi denounced what she called a "let them eat cake" attitude from the commerce secretary, whose net worth has been estimated by Forbes magazine at nearly $700 million. "They just don't understand why people have to stand in food lines," Pelosi said. Rep. Jennifer Wexton, D-Va., whose district is home to many unpaid federal workers, invited the commerce secretary to join her at a food bank this weekend. "I think it would be a valuable learning experience for you to see what our federal workforce, including your own employees at the Department of Commerce, are going through," Wexton wrote in a letter to Ross. The 800,000 government employees have been furloughed or working without pay since Dec. 22, thanks to a stalemate over President Trump's demand for a $5.7 billion border wall. Trump defended his commerce secretary, suggesting that local grocers, bankers and landlords would make accommodations for cash-strapped federal workers during the partial shutdown. "I think that's probably what Wilbur Ross meant," he said, although he conceded that "perhaps he should have said it differently." Complaints from federal workers have been growing as the shutdown drags into its second month. The FBI Agents Association says its members are less effective at fighting crime; the Coast Guard says asking its personnel to serve without pay is "unacceptable"; and air traffic controllers say they're worried about basic flight safety. 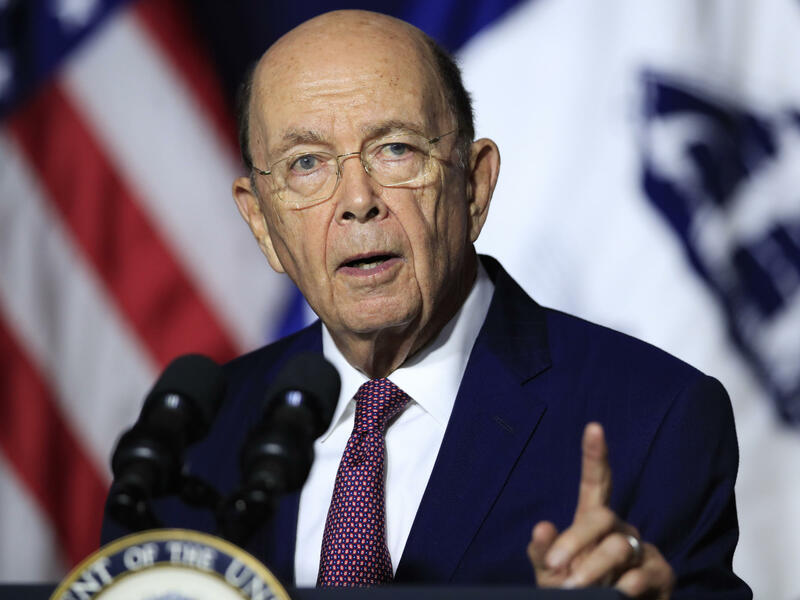 Ross stressed on Thursday that workers are certain to receive back pay once Congress restores funding to the agencies for which appropriations have lapsed. "So the 30 days of pay that some people will be out — there's no real reason why they shouldn't be able to get a loan against it," he said. Ross also minimized the broader economic fallout from the shutdown. "While I feel sorry for the individuals that have hardship cases, 800,000 workers, if they never got their pay — which is not the case — they will eventually get it — but if they never got it, you're talking about a third of a percent on our GDP," Ross said. "So it's not like it's a gigantic number overall." White House economist Kevin Hassett warned on Wednesday that if the shutdown continued through March, it could erase economic growth in the first quarter.